Point Richmond Music Season Finale Tomorrow 9/14: Achilles Wheel & Rúckatan Latin Tribe! Achilles Wheel and Ruckatan Latin Tribe! September 14th, with Achilles Wheel and Rúckatan Latin Tribe bringing the summer to a rousing close! Join us from 5:30pm to 8:00pm in historic downtown Point Richmond (Park Place between West Richmond and Washington Avenues) for a street party like no other. In addition to free music, the concert will features an opportunity drawing, arts and education booths, face-painting for children and dancing in the streets. PRM, an all-volunteer non-profit organization, produces the series in support of its mission to build community through the unifying language of music. Local restaurants offer a wide array of cuisines, and a rotating selection of food trucks pull up to each concert. Concert-goers can pair fine food with beverages from PRM’s no-host bar, with proceeds directly supporting the music series. 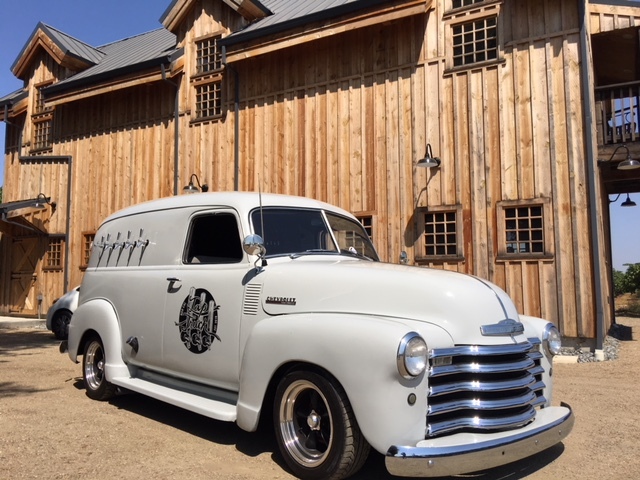 And making its debut, we're excited to introduce the Tap Truck, serving Richmond's own Benoit-Casper Brewing craft beers! Festival-style seating is available with a limited number of chairs provided, and concert-goers are encouraged to bring their own festival/lawn chairs. Please visit www.pointrichmondmusic.org for more information. Achilles Wheel blurs genres to create an infectious blend of roots and world music rockadelia. Achilles Wheel is comprised of Jonny Mojo Flores on lead guitar and vocals, Paul Kamm on guitar and vocals, Shelby Snow on bass and vocals, keyboardist Ben Jacobs, Mark McCartney on drums and vocals and Gary Campus on drums and percussion. 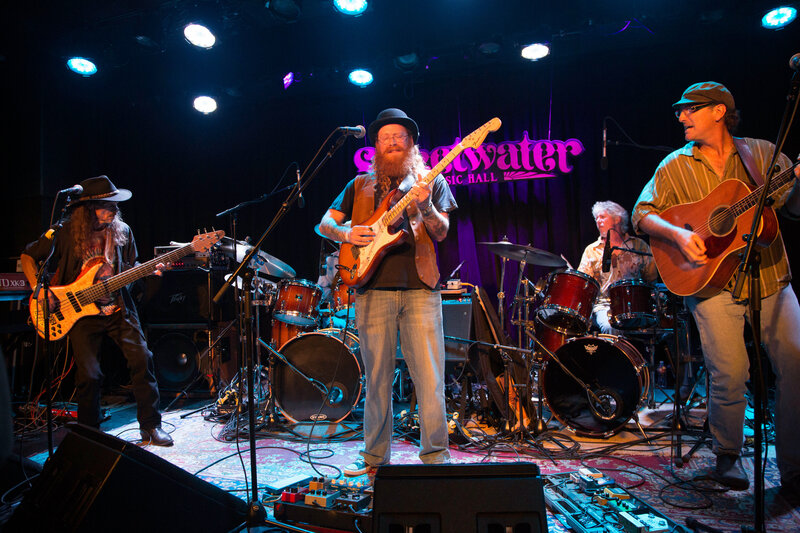 Achilles Wheel has performed at the Strawberry Music Festival, Kate Wolf Memorial Music Festival, California World Music Festival, Railroad Earth’s Hangtown Halloween, as well as at venues such as The Great American Music Hall, Terrapin Crossroads, The Sweetwater Music Hall and the Sierra Nevada Big Room. 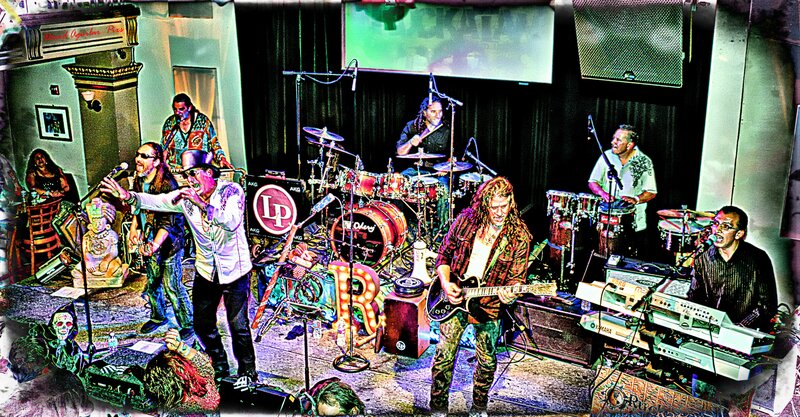 Rúckatan Latin Tribe is composed of seven players who have all contributed to the local Latin rock scene in the Bay Area and internationally with various Latin, reggae, rock and soul acts. Rúckatan fuses Latin, reggae and world music; its members hail from three different continents, infusing their culture and love of their musical roots into this original band. This project includes Richmond native Carlos Elizalde on vocals and hand percussions, Jose Angel Amador on vocals and keys, Blaine Hoopes on keys and various woodwinds, Javier Cabanillas on congas & timbales, Brian Camara on drums-percussions, Ray Uribes on bass-vocals and Carlos Hernandez on guitar. Point Richmond Music (PRM) is a 501c3 nonprofit public benefit organization that provides free outdoor summer concerts as a way to build community through the unifying language of music. PRM concerts provide a gathering place for people of all ages, ethnicities, and walks of life by featuring musical talent from Richmond, the Bay Area and beyond. In addition to producing a free summer concert series, the group is proud to help support year-round music through its sponsorship of both the Point Richmond Acoustic and Point Richmond Jazz series, which run October through May at the First United Methodist Church, and to foster the development of the next generation of musicians through contributions to Washington Elementary School’s music program. Seventeen years of this collaborative effort have relied on donations of time and money from volunteers and local businesses and organizations. Thank you to our 2018 sponsors to date: City of Richmond, ECIA Community Grant Program, Republic Services, Gateway Foundation, Sims Metal Management, Svendsen's Bay Marine, MSH Group, Point Richmond Tech Centers 1 & 2, M.A. Hays Co., Mechanics Bank, the Point Richmond Neighborhood Council, Bridge Storage and Artspace, Lagunitas Brewing Company and the Richmond Development Company. A special thank you to Kim Paternoster of WickedCode for designing and maintaining our website. And a huge shout out to our volunteers, we couldn't do it without YOU! For more information, please visit www.pointrichmondmusic.org and www.facebook.com/ptrichmondmusic. Stay tuned for more Point RIchmond Music Summer Concerts news. Copyright © 2018 Point Richmond Music, All rights reserved.